Carretera de Soroa km 8 Calendaria,Pinar del Río. 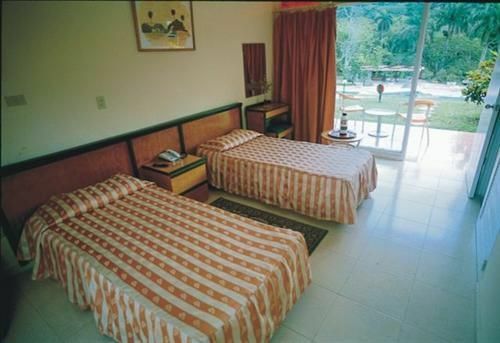 Villa Soroa, a woodsy resort consisting of 80 air-conditioned two room cottages with private bathroom, telephone and radio. Three restaurants, five bars, Olympic sized swimming pool, medical services, shop, money exchange and parking lot. Special hilltop restaurant. Paths that lead to a miniature waterfall lin one direction and a unique orchid garden in the other. The orchid garden is the biggest in cuba with 700 orchid species (of which 250 are endogenous to Cuba), ferns, begonias, arum and others, making it a really colorful garden. 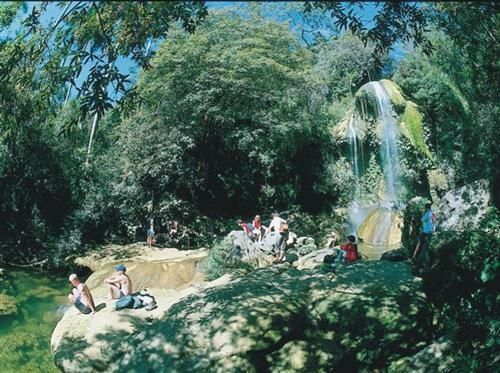 This natural landscape is located in Sierra del Rosario, a World Biosphere Reserve. 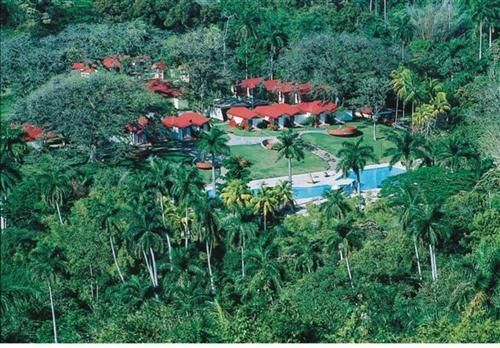 It is the ideal spot for nature lovers; it is a renowned fro a stunning 21 meter waterfall and is home to Cuba´s largest orchid farm which has a little over 700 species of the flower, 250 of which are Cuban. No reviews for Villa Soroa yet.